B&H is having a Green Monday sale in its turf, and boy the deals are insane. How about $100 off a GoPro HERO5 Black for starters? Tons of Great Tech Discounted for Green Monday on B&H. Choose Your Picks Wisely! There are no shortage of deals right now, and B&H is well onboard the hype bandwagon for Green Monday. We’re not going to waste time on praising what’s going on because words won’t do it justice, the deals will. Google Home Mini – Regular price $49, Now just $29. Google Home – Regular price $129, Now just $79. Samsung 500GB 850 Evo SSD – Regular price $169.99, Now just $139.99. Samsung 1TB 850 Evo SSD – Regular price $349, Now just $299. Samsung 500GB T5 Portable SSD – Regular price $199.99, Now just $149.99. Samsung Galaxy S8 Unlocked Smartphone – Regular price $659.99, Now just $624.99. GoPro HERO5 Black – Regular price $399, Now just $299. 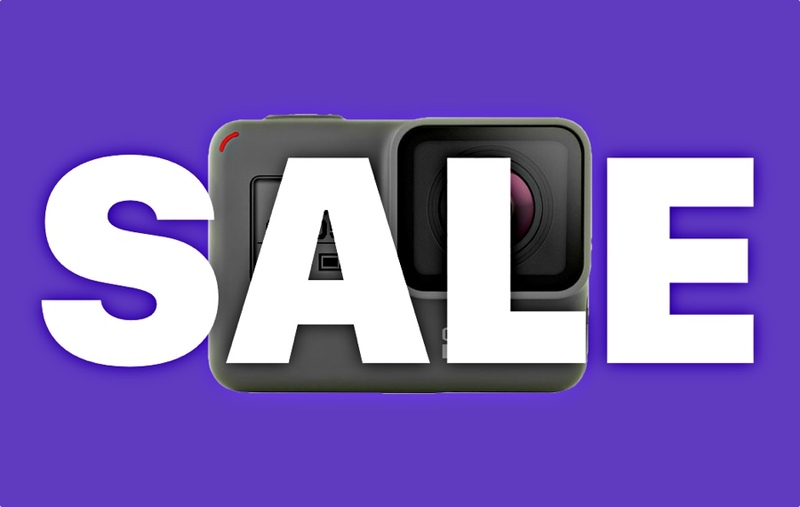 GoPro HERO5 Session Bundle – Regular price $339, Now just $199. GoPro HERO6 Black – Regular price $499, Now just $449. DJI Mavic Pro Drone – Regular price $899.99, Now just $799.99. DJI Mavic Pro Fly More Combo – Regular price $1,294.95, Now just $994.95. DJI Spart Drone – Regular price $499, Now just $399. Linksys EA9400 Tri-Band WiFi Router – Regular price $279.95, Now just $179.95. 15-inch MacBook Pro with Touch Bar Core i7, 16GB, 256GB SSD, Radeon Pro 450 – Regular price $2,399, Now just $1,799. 15-inch MacBook Pro with Touch Bar Core i7, 16GB, 512GB SSD, Radeon Pro 455 – Regular price $2,799, Now just $2,099. Xbox One S – Regular price $279, Now just $189. Xbox One S Madden NFL 18 Bundle – Regular price $279, Now just $229. PlayStation 4 Pro – Regular price $399, Now just $349. LG B7A-Series 55-inch HDR UHD OLED TV – Regular price $2,296.99, Now just $1,596.99. LG C7P-Series 55-inch UHD Smart OLED TV – Regular price $2,996.99, Now just $1,696.99. Samsung MU8000-Series 55-inch HDR UHD Smart LED TV – Regular price $1,497.99, Now just $897.99. Samsung Fast Charge Power Package – Regular price $99.99, Now just $39.99. Huawei Honor 6x Unlocked Smartphone – Regular price $199.99, Now just $149.99. Sony Xperia X Unlocked Smartphone – Regular price $399.99, Now just $219.99. JBL E45BT Bluetooth Headphones – Regular price $99.96, Now just $79.96. Google Chromecast Ultra – Regular price $69, Now just $54. Nikon D3400 DSLR Camera with 18-55mm and 70-300mm Lenses – Regular price $896.95, Now just $496.95. Canon EOS Rebel T6i DSLR Camera with 18-55mm Lens – Regular price $899, Now just $599. 12.9-inch iPad Pro 512GB WiFi 2017 model – Regular price $1,149.99, Now just $999.99. 10.1-inch Lenovo Tab 4 Tablet – Regular price $184.95, Now just $174.95. ASUS VP329H 23-inch Monitor – Regular price $139.95, Now just $124.95. BenQ GW2765HT 27-inch Monitor – Regular price $299, Now just $229. Google WiFi (3-pack) – Regular price $299.95, Now just $269.95. Windows 10 Home 64-bit DVD – Regular price $129.99, Now just $92.99. Apple Mac mini 1.4GHz Desktop Computer – Regular price $499, Now just $449. Apple Mac Pro – Regular price $2,999, Now just $1,999. Up to $300 Off LG Smartphones. Up to $70 Off Apple iPad. Up to $1000 Off on Samsung TVs.